Behind two weeks of plain old procrastination, I finally decided to view 2017's All About the Money. "Money" chronicles three, penniless washout guys from Los Angeles. 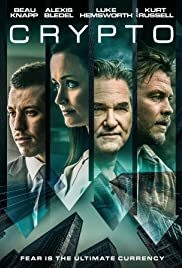 After hearing about a $25 million dollar reward involving the capturing of America's most wanted criminal, they eagerly venture to Columbia, South America to try to get the job done. In "Money", Blake Freeman directs, co-stars, storyboards, and partners in writing the screenplay. Yeah it's a mini ego trip for him and he makes sure that his film veers far away from taking itself too seriously. All About the Money sans an MPAA rating but it's surely a hard R. Yup, this is real cockamamie stuff. It starts off as this year's Half Baked while giving us loose end side characters and two, suitable flashback excerpts. "Money" then turns into an aping drug movie with a final shootout sequence blatantly reminiscent of 1984's Beverly Hills Cop. Now "Money" does have some humorous moments courtesy of funnyman Eddie Griffin. 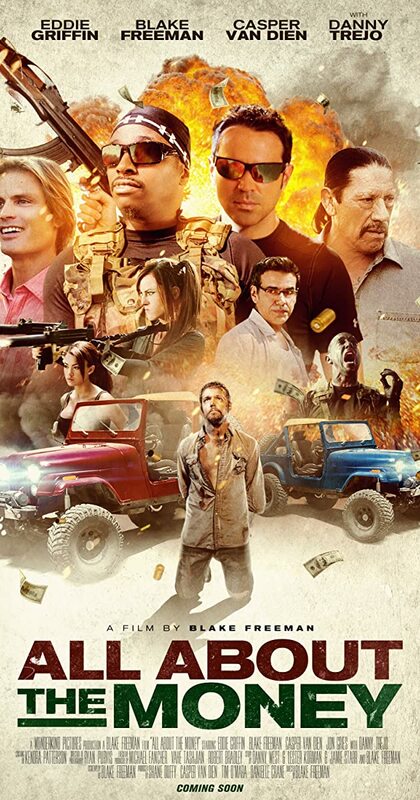 If ever a flick mixed sketchy laughter and drug lord prudence, this would be it. "Money" also drags at times, features out of place narration by a snobbish bloke (Stephen Stanton), and contains a certain level of improvisational annoyance. Mean-spirited, demented, and racially skewed in its approach, All About the Money gets points for originality only to gather grounds for deserved, direct-to-video enhancement. In cessation, Blake Freeman shoots "Money" as if it's for his own pleasure, his own sufferance, or his own, mocking amusement. I'll give the dude smug credit for squeezing everything he can out of what is probably a diddly-squat budget. There are great Columbia locales, fantastic Colombian babes, quick pauses of hailing gunfire, and plenty of Scarface citations. However, after seeing "Money" with its ode to loser lyricism and its failure to apologize for its own, fanciful nature, you'll realize that it's vapor-ed, disposable material. A better title would be All About the "Mindlessness". Rating: 2 stars.